Cosmic Times is being developed by a team consisting of writers, teachers, an evaluator, a graphic artist, an editor. 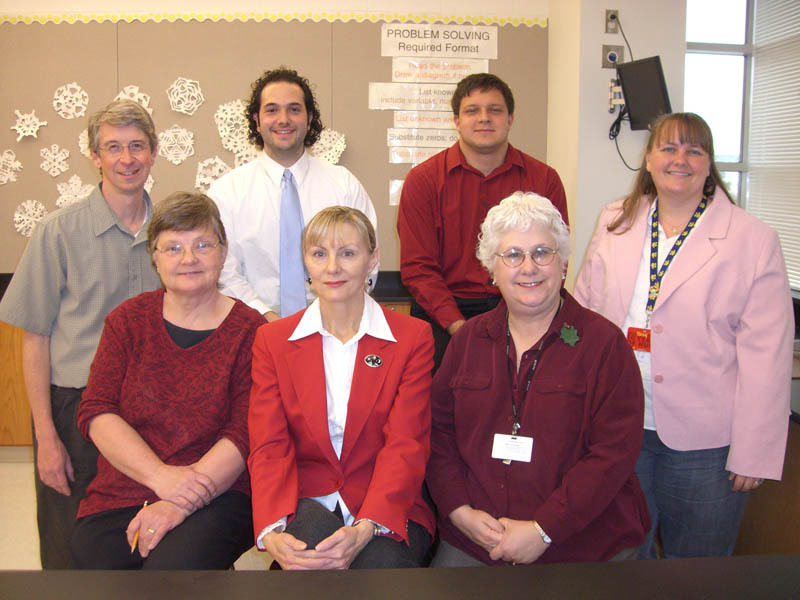 Pictured below are the project leaders with our team of teachers from Perkiomen Valley School District in Pennsylvania. Dr. Grace Cisek (Perkiomen Valley School District) - coordinator for our teachers. Allyson Walker (Cornerstone Evaluation Associates, Pittsburgh, PA) - coordinator for the evaluation of the poster and lessons. The evaluations were carried out by teachers who are members of the THEMIS GOENS program: Cris DeWolf (Remus, MI), Harriet T. Howe (Ft. Yates, ND), Victor Trautman (Petersburg, AK), Wendell Gehman (Pine Ridge, SD), Laura Orr (Ukiah, OR), and Ray Benson (Kipnuk, AK). We thank them all for their diligence and suggestions. Aaron LaBlanc (Chesapeake High School, Pasadena, MD, Class of 2010) - designed the online version of the Cosmic Times posters for the new version of the web site; also helped with the layout for the Early and Home editions of the newsletters. The Imagine the Universe! Team - participated in the design and review of the Cosmic Times articles.